JOHANNESBURG: A South African woman who paramedics had declared dead after a horrific car crash was later found alive in a mortuary fridge, emergency services said on Monday. Ambulance service Distress Alert confirmed that the unnamed woman had been certified dead by paramedics at the scene of the pile-up outside of Carletonville, southwest of Johannesburg, in the early hours of June 24. Mortuary technicians then found her alive in a morgue fridge several hours after the crash in which the victims' car rolled, throwing all three occupants clear of the vehicle, killing two of them. "We followed our procedures - we've got no idea how it happened," Distress Alert operations manager Gerrit Bradnick told AFP. "The crew is absolutely devastated - we're not in the business of declaring living people dead, we're in the business of keeping people alive." The woman, who was taken to Carletonville hospital after being found alive in the mortuary, had shown no signs of life when she was attended to by first responders, added Bradnick. "All the right checks were done - breathing, pulse - so the patient was declared deceased," he said. The company has now launched an investigation. 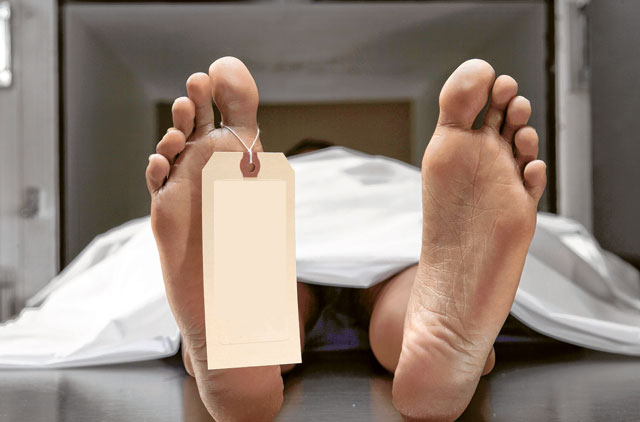 "Paramedics are trained to determine death, not us," a source at the Carletonville mortuary told the Sowetan newspaper. "You never expect to open a fridge and find someone in there alive. Can you imagine if we had begun the autopsy and killed her."